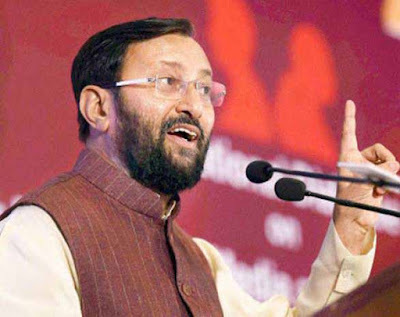 Jammu : The Union Minister for Human Resource Development, Prakash Javadekar, on Saturday, inaugurates the Indian Institute of Technology at Jammu. The institution is the first IIT for the state set up to create a learning environment and will be built over 500 Acres of land near Jammu city. Jammu is among the six cities across the country which were set to get IITs. Meanwhile, in the first year, the institute will function from a well-equipped temporary campus in Paloura, Jammu that will have all the facilities to meet the standards. Javadekar expressed his delight to inaugurate the campus in the city of temples bestowed with rich culture and heritage. The institution will go a long way in building and harnessing the immense talent of the entire State, he added. Every possible step will be taken with a special attention to bring in all the facilities and trainers ensuring quality generation out of the talent pool in order to fulfil the dream of PM Narendra Modi. Dr. Jitendra Singh, Minister of State with PMO and Personnel, Public Grievances and Pensions Government of India, in his address appreciated the efforts of the Ministry of Human Resource and Development in making such a prestigious institution possible for imparting quality education keeping in mind the aspirations of the people of the State. The institution will offer a set of programmes across various academic streams that will follow a credit system and the performance in a course will be continuously evaluated.